I will show you how to create completely unique sounding compositions in Ableton Live. 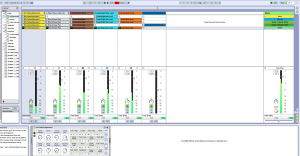 One of the most innovative Digital Audio Workstations of the last decade comes to you from Ableton. It’s no wonder DJ’s and musicians alike have taken to this music creation software. It is an extremely flexible workstation with a huge library of sounds and plugins that allow you to create music in a very different way to the more traditional DAWS like Logic Pro and Protools. 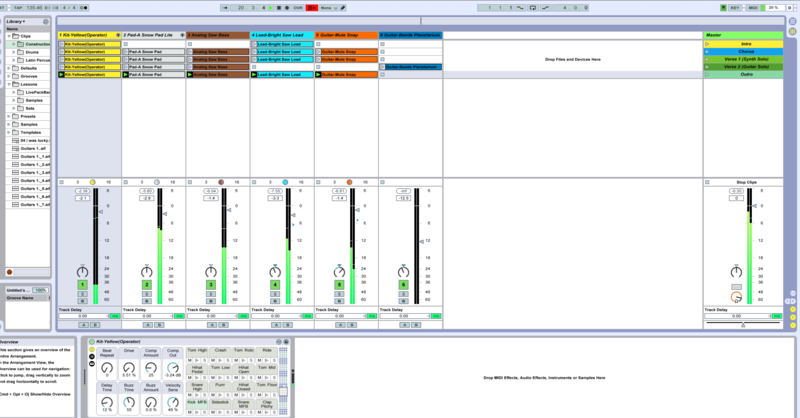 The power of the program is being able to create arrangements on the fly. You are creating as you are listening, intuitively introducing new elements to you arrangement as you listen. It’s different, it’s fun. I will also show you how to use your iPad as a touch pad controller for Ableton. Why spend thousand of rands on a hardware controller when you have an Ipad to use as a controller at a fraction of the cost. I will show you how to setup the Ipad as a controller and as if by magic your iPad becomes the wand of creation. By merely touching the samples on your iPad they start playing, touch again and they stop.This is all happening on your computer with the iPad as the interface. And all this gets recorded in your arrangement in realtime so you can playback what you have just been trying out on your iPad. Just when you thought things couldn’t get more interesting they just did. I am extremely patient so you don’t have to be embarrassed about asking the same question over again. I have been there myself so I know what it feels like when information overload kicks in and the brain can’t compute all that’s been thrown at it.